There are certain fragrances we encounter that can trigger an emotion or a memory. I remember how wonderful my grandmother smelled when she was slathered in Jenkins lotion. There is just nothing that matches that fragrance. Baby lotion does the same thing for me—oh that wonderful pink Johnson & Johnson baby lotion and powder. Evergreen fragrance reminds me of the beautiful evening when Neal and I were married by our Christmas tree. Fragrances can take us back to a wonderful place in our memories. I get the same feeling when the aroma of a freshly baked pound cake fills the kitchen. It’s the simple things that make us feel special. My recipe for my famous pound cake is actually not mine. It belonged to a sweet lady named Jo in our church. She was known as the Pound Cake Lady. Jo always showed up with a hot pound cake at the most unexpected moments. She called it her pound cake ministry, and I thought that was the best. It was not uncommon for her to drop by our office when we were first getting started in our business and say, “I thought you girls just needed a pound cake today.” And that simple gesture just changed our day. Her message was one of caring and brightening days. If she knew you were going on vacation, she would pack one for you to take on your journey. She passed away a few years ago. Her daughter and I grew up together, and when I asked about her story, Darlene told me that she made a pound cake every day for someone. She laid out her eggs and butter at night before she went to bed, and she was ready to go in the morning. I can’t imagine how fabulous her kitchen must have smelled with its permanent pound cake fragrance! This is one of the easiest cakes I have ever made, and it is always requested by my family. Not only is it wonderful to serve, but it makes me stop and think about the Pound Cake Lady, Miss Jo. Her daughter was so wonderful to share this recipe. Being known as the Pound Cake Lady is a wonderful legacy. As women, we create memories for our families and friends with acts of kindness. I wish I could hug Miss Jo and tell her how many lives she touched. She gave me a beautiful cut glass cake stand to use, and I think of her every time I use it. Bake a cake today…and share time with someone you love! Cream butter and sugar thoroughly; add eggs, one at a time, while continuing to beat. Add whipping cream and cake flour alternately, and continue beating. Add vanilla, and continue beating. Beat on medium-high speed 4 minutes. Bake in a greased and floured tube cake pan at 325° for 1 hour and 15 to 20 minutes or until a wooden pick inserted near center comes out clean. Flip out onto plate, and then flip back over onto wire rack to cool. You can eitһer use paid channels оr organic search. Thank so much Phyllis! I can’t wait to try this! My daughter’s husband is throwing her a bonfire/pig roast, 40th birthday party in a couple of weeks in CT. We have great ideas for everything, but what to do about the birthday cake for 100+ people was a struggle. We didn’t want it looking wedding-ish so we came up with an idea of a long farm style dessert table. Amid urns of fall flowers we’d have an array of all versions of glorious pound cakes and accompaniments. We’ll have to add Miss Jo’s Pound Cake and a number of your other wonderful pound cake recipes from your many magazines that I’ve saved! Any suggestions on your most favorites??? Also, I think we’d all love to see more of your videos!!!! I felt like I was right there in your kitchen!!! Is it self rising cake flour that is used? I noticed that baking powder or baking soda is not listed in the ingredients. cake . My kids love it. I plan to make Jo’s Pound Cake soon because it sounds soooo good. Thank you for a beautful story. Thank you, Phyllis, for the Miss Jo story and the great recipe. I’ll want to make it in the ramekins to keep me from eating too much at one time. We had a Pound Cake Lady in pour church and she was also my neighbor. On one sad occasion she brought me a warm pound cake. At the time she was in her eighties. It meant so much to know she had taken time to make her very special pound cake for me and my family. One favorite fragrance memory is Aunt Anna’s warm bread. She would call me to come over to her house and bring my three little boys to be there when the bread came out of the oven. We would sit around her kitchen table and eat the warm bread with fresh country butter. It tasted better than cake and we always had stories and laughter with her bread. Phyllis you constantly encourage us to think of and to do what is good and beautiful. You bless our lives. I cannot wait to try making this recipe in different baking dishes other than a traditional loaf pan, how fun! Loved your video, thanks for sharing! I cannot wait to try making these in different baking dishes other than a traditional loaf pan, how fun! Loved your video, thanks for sharing! My mother didn’t make pound cake, but she made a sweet bread for us kids which tasted very much like pound cake. It was so good with a cold glass of milk. When she was baking it, the aroma penetrated the whole house and gave out such a warm, cozy feeling. My cousin said her house always smelled like vanilla flavoring. She loved good smelling bath powders, too, her favorite being Wind Song by Prince Matchabelli. Also the nice Avon talcs … “Here’s to my Heart” and “Occur” were favorites of hers. Thanks, Phyllis, for bringing back such sweet memories. I love pound cake and this recipe will be made very soon… Thank you for sharing Phyllis! We can always count on you for great recipes! Mom. And I made poundcake every other saturday when I was a little girl and the smell was amazing.thank you for helping me remembering. Cheryl w.
I made this yesterday. It’s fabulous! I wondered if you have any additional high altitude adjustments. Thank you! I loved your pound cake story as it dug up a sweet memory of my own pound cake baking pal. We found ourselves in small town south Florida working in a fledgling small college. Often our beloved Jean would show up with her famous pound cake — right time, right place for a warm sweet snack. Thank you for introducing us to Ms Jo and thank you Jesn for your love as well as you hospitality. I miss you. Phyllis, as I read your blog and watched the video I was reminded of my mother’s sour cream pound cake that bakes up with such a lovely crust. Miss Jo’s recipe looks much the same, so I’m anxious to try it. I really like the idea of baking in small portions. I think I’ll try an over-sized muffin pan to bake the batter and see how that works. Thanks for sharing. I have used this recipe. I think you published it in Southern Lady some time ago. It is a keeper!! In one of the churches my husband used to pastor, there is a lady much like your Jo. Her name is Jewel, and she also bakes wonderful poundcakes…keeps several in her freezer so she always has one on hand when she needs to take one to somebody. 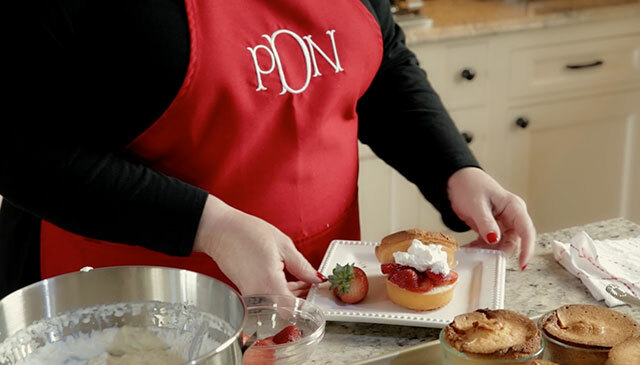 I am almost certain her recipe is the same as Jo’s…I know it uses whipping cream, and they are delicious! Pound cake is my favorite. I will definitely make this one. pHYLLIS, i HAVE MADE THIS POUND CAKE MANY TIMES AND IT IS WONDERFUL. I GOT THE RECIPE SEVERAL YEARS AGO FROM SOUTHERN LADY MAGAZINE. MY FAVORITE POUND CAKE RECIPE OF ALL TIMES. I am definitely going to bake this pound cake! thank you for sharing this recipe with all of us. I love reading your blog. You are touching hearts everywhere. What a loving tribute to Miss Jo who was so giving of herself. Your mention of Jergens lotion was emotional for me as my beloved Mom, who went to Heaven a year and 5 months ago, always smelled of that wonderful, comforting smell. I was so happy to find, 3 or 4 years ago, that it was released again as Original Scent cherry almond moisturizer and is available still. I recognized the fragrance immediately and buy extra so I don’t run out. Thank you for a wonderful blog to look forward to. Yum. Love a good slice of pound cake…maybe add sweet vanilla icing bakery style. Enjoyable ribbon story today. Tx. Johnson & Johnson Baby Oil reminds me of summer evenings when I was a young girl. After my bath, I would have slathered the oil on my sun warmed skin. I would wear a cotton night gown and the scent would permeate the gown as well as the sheets on my bed. Now, every June I buy a bottle for summer use. The video was well done and so enjoyable. The pound cake will be baked this weekend. Many thanks Phyllis! Inspired to become a Miss Jo…Thank you for your inspiration. Lovely story and wonderful gesture of love. Going to try this recipe soon. Hope I am not tempted to eat too many of these pound cakes myself. Thank you for sharing. You never cease to amaze me with your many creative talents, thoughts, words, etc. You bring joy to so many through your many endeavors. Keep up the good work, for it is truly appreciated. Blessings. Thank you for sharing this story of this sweet lady. Everyone should have a Miss Jo in their life. What a nice memory to recall. Wonderful recipe and post . Can’t wait to try! Thank you!! Thank you! I really enjoyed this delightful entry accompanied by your video. Looking forward to trying out this recipe! My mom loved gardenias so that is the fragrance that brings her to mind. This June 12th will be her 26 year of passing on to Spirit. Bless you and this wonderful journal sharing you have begun for us! Can’t wait to try this recipe. It sounds wonderful. I agree about scents. I remember my grandma always used a lotion called Jergens lotion–could it be the same lotion that your grandma used–a terrific almond smell. I always use the same perfume and recently went to a small restaurant with friends. The server came up and said “I knew you were my old 3rd grade teacher because of the way you smelled. I love that perfume.” Since I have been retired for several years now, that young man’s nose had remembered the scent for around 15 years! You have once again , reached the emotional spots of my heart and soul. I do not bake very often , but the whipping cream pound cake will find the way to my family “heirloom” cake plate this Sunday ! I am sentimental when it comes to fragrances . All types . A cigar can remind me if my dear Grandfather and all his loving ways . Fragrance does truly weave the tapestry of lives . To this day , I have difficulty disposing of empty perfume bottles! Again , thank you ! I love this story; it so reminds me of my mother…Mrs. Annie. She was known for her coconut cakes. At her funeral I passed out copies of her recipe to everyone. On my first birthday after her death 3 different friends baked me her coconut cake! I also have tried to adopt a pound cake ministry since retiring from full time work. However I only do one a week. Ms Jo was super dedicated! I love your journal and have subscribed to Southern Lady for years. I love the video of “how to” but I especially love the story of Mrs. Jo. She was indeed a very special lady sharing her love through her pound cakes. I’ve been with both sets of Grands this week, but I promised Danny I would bake this when I got home! We love it too. My home will smell like Miss Jo’s today!